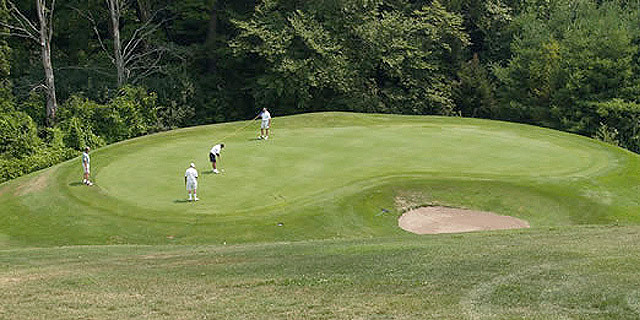 In August of 1999, Golfer’s Dream opened in the Durham Region, right across from the Ocala Winery. This easy to reach location is a twenty minute drive from Oshawa, Whitby and Ajax. At the present time, there are nine full length and challenging holes. This scenic links-style course, with its spacious greens, will challenge all skill levels. Course designers made use of the natural surroundings to provide defences: linksy, uneven fairways, mounding, coarse rough and fast greens.